The Christmas hustle and bustle officially starts with Black Friday: the day on which shoppers begin hunting for deals and when many stores report their largest profits of the entire year. It has been known, however, to cause serious accidents in the midst of wildly eager bargain seekers. In fact, ten years ago, a tragic Black Friday accident initiated important changes. In 2008, a 38-year-old Walmart employee was trampled to death in a shopper stampede. Accordingly, OSHA issued guidelines and regulations for retailers on the matter of crowd control. These guidelines were constructed under the theory of Premises Liability: the responsibility of a property owner to uphold a reasonably safe environment so whoever enters their property will not encounter the likelihood of injury. This covers anything from a slip on a wet floor to something far more serious. Injuries may also include those associated with poor planning and inadequate security. Shoppers can file a complaint about a store’s contribution to their injury or their failure to maintain safe premises. What’s important to keep in mind for shoppers and storekeepers is this: Black Friday is not a normal day. And it should be treated accordingly. Safety precautions must be applied in consideration of the expected crowds, as a store’s premises liability will increase on this day. Subsequently, the customer can also take special precautions as to ensure their safety. We believe that it is most essential to maintain one’s patience on this hectic day. Several instances of Black Friday mayhem are caused by the rush for a good deal. Remember to embrace the peace and joy of this holiday season, even when you face crowded shopping centers. Additionally, your awareness of your surroundings will go a long way as you contribute to the safety of your Black Friday experience. Despite precautions and implemented regulations, accidents will inevitably continue to occur. 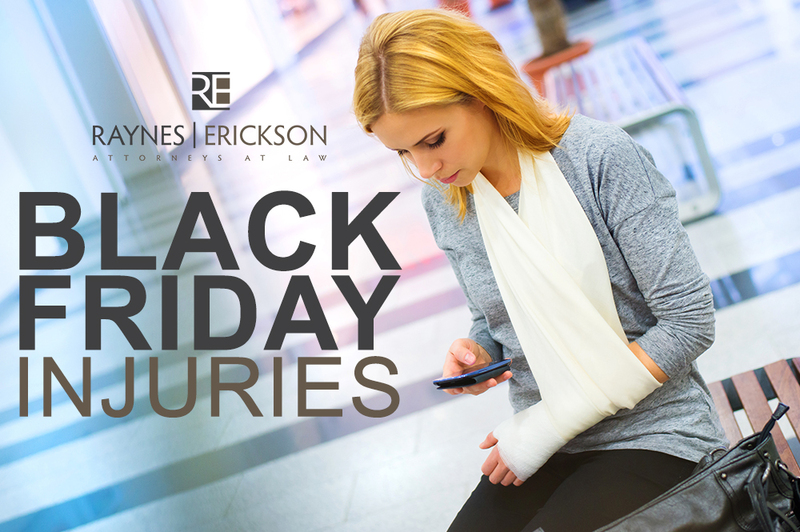 So, if you are injured in either a Black Friday or any other busy holiday shopping extravaganza, and you believe it to be due to the negligence of the store’s safety procedures, do not hesitate to call us. We are here to protect you in the case of a shopping injury.